EL SEGUNDO, Calif., Jan. 11, 2019 /PRNewswire/ — Liquid I.V., the breakthrough hydration product utilizing the cutting-edge science of Cellular Transport Technology (CTT™), launched nationally in Costco this week. This comes on the heels of their rapid growth on Costco.com and in regional Costco stores, and will provide greater access to the product for Costco members around the U.S. Liquid I.V. is carried in over 20,000 stores across the country, including the world’s leading specialty, big-box and online retailers. The list includes Costco, Whole Foods Market, GNC, CVS, Ralphs, Vons, Albertsons, Safeway, Kroger, and others. Consumers can look forward to the continued growth of the Liquid I.V. product lineup, which will focus on the expansion of natural, non-GMO health and wellness products featuring CTT™. LIQUID I.V. Closes $5 Million Round with “A-List” Backing. With an investor lineup including Scooter Braun and Kygo, amongst an equally impressive list of business and sports leaders, Liquid I.V. assembles for accelerated growth. MARINA DEL REY, Calif., Aug. 28, 2018 /PRNewswire/ — Liquid I.V., one of the fastest growing CPG brands in the nation, celebrates the close of its $5M Series B funding. With financing led by CircleUp Growth Partners, a leading institutional investment firm based in San Francisco, CA, this latest round brings in TQ Ventures, a group led by SB Projects Founder and entrepreneur Scooter Braun; international music producer, Kygo and his influential manager, Myles Shear; and Washington Nationals centerfielder, Adam Eaton. These four complete an already impressive list of investors, advisors and Board including former COO of Microsoft, Kevin Turner, co-owner of the Oakland Athletics, Lew Wolff, Gensler Architects CEO Andy Cohen, MVMT CEO Jake Kassan, Jordan Younger of The Balanced Blonde, and CPG retail tycoon Scott Emerson. Liquid I.V. 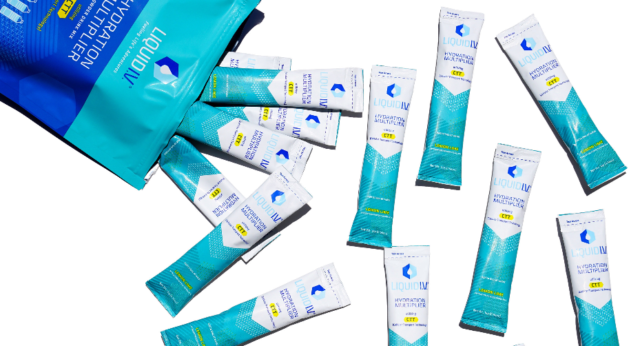 is best known for its Hydration Multiplier, a non-GMO electrolyte drink mix that’s powered by their breakthrough delivery system, Cellular Transport Technology (CTT)™. Breaking News: The Alkaline Water Co*., (Symbol: WTER) to Launch Full CBD Line, Flavored and Sparkling. Read here. Castle Brands (ROX) Special Barrel Release of Knappogue Castle Single Malt Irish Whiskey.